Mammoth German Gold is a 2 lb+ dark orange beefsteak with red streaks radiating from blossom ends. Heirloom Seed Packet. 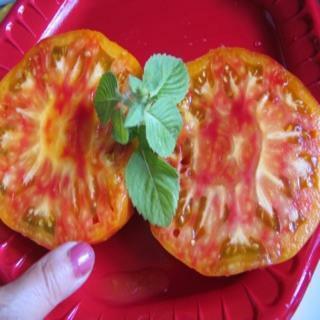 Mammoth German Gold is a 2 lb+ orange beefsteak with red streaks radiating from blossom ends. Intensely rich and sweet. Beautiful to behold.